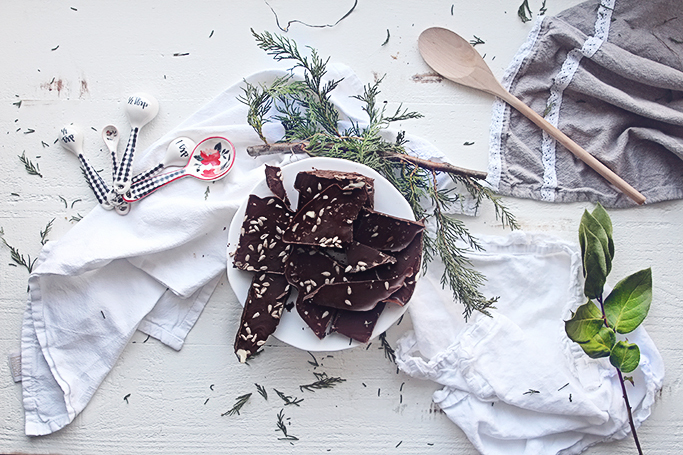 Once melted, remove from head and add all the other ingredients (or whichever you choose to add) to the chocolate and mix really well. Sprinkle a little additional sea salt on top if you wish. 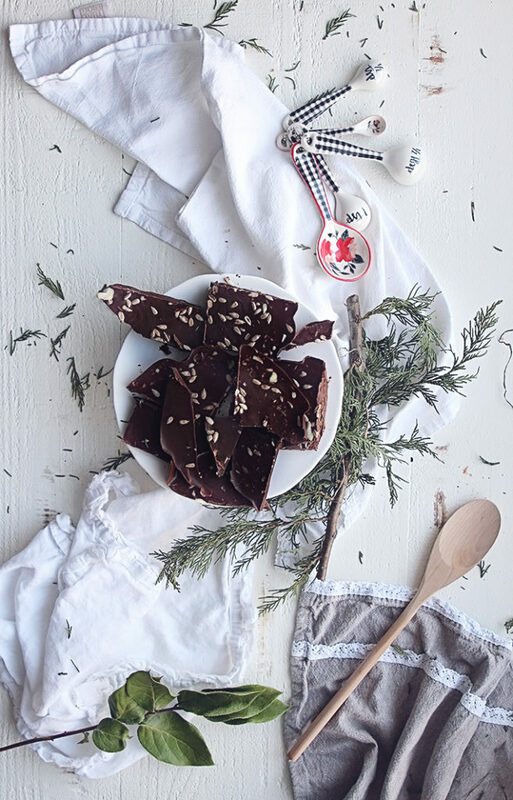 Line a dish with parchment paper and pour out the chocolate mixture allowing it to be about 1 inch thick. 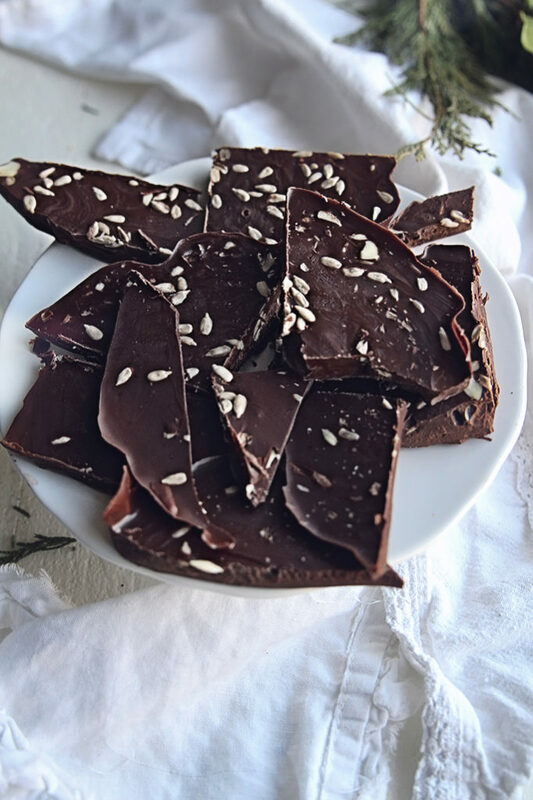 Place in freezer for 15-20 minutes or until chocolate is hardened. Once removed from freezer, break into pieces. Store in a freezer safe container and store in freezer. This is awesome!!! 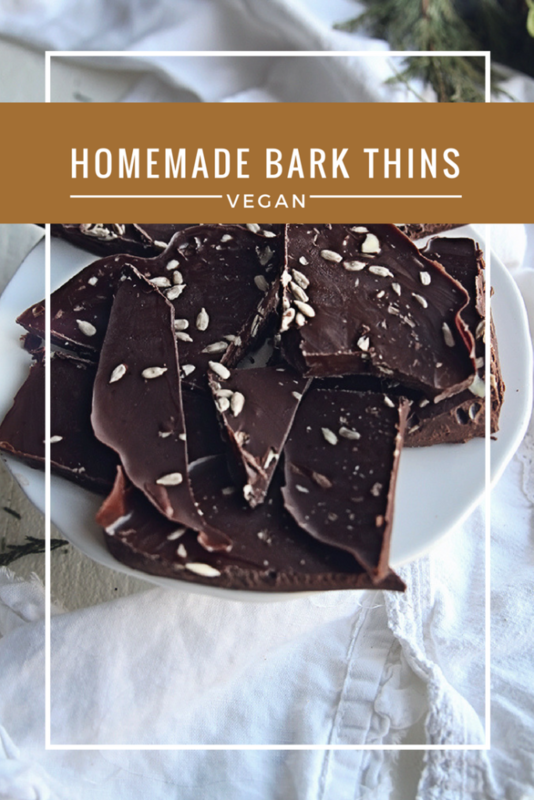 I only recently found out that Bark Thins are not vegan (something to do with the processing of their sugar), I’ve tried a few different cluster recipes, but I am loving that this one is a true bark!! thank-you for sharing!!! Is it alright to put part of this on my website if I post a reference to this web page? Thanks for taking the time to talk about this, I really feel strongly about it and enjoy learning extra on this topic. If possible, as you acquire expertise, would you mind updating your blog with additional data? Its extremely helpful for me.